GT lever hoists are a great economy pull lift which passes all the stringent checks required to be used in the UK and EU. 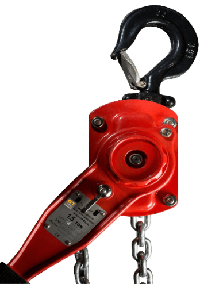 We supply the range of GT ratchet lever hoists so that we can offer our customers a lower cost solution to their manual lifting requirements. Due to the fact that we have been supplying these GT pull lifts for many years, and the fact that we not only continue to do so but also use them ourselves within our workplaces, you can be assured of reliable equipment more than capable of the tasks they are intended for, all at excellent prices. GT Pull lifts are an excellent budget lever hoist. We currently supply a range of 2 GT ratchet lever hoists direct to you, the popular Viper, with safe working loads of up to 9000kg, & the heavy duty mark II, also up to 9000kg. Take a look at the products and use our rapid enquiry form for a quick quote, you may also like to enquire about the price differences and see just how much you could save.